In order to preserve some of the rare and endangered species of animal, plants and birds, national parks came to the frame. India is one of the few countries which host hundreds of national parks within their boundaries to protect endangered animals and plants from being vulnerable and hence, becoming extinct. Hemis National Park is also one of these national parks in the state of Jammu & Kashmir which is immensely popular for the population of snow leopards. Apart from this rare animals, it also houses several places of interests, ranging from man-made marvels to natural wonders. So, let's learn more about Hemis National Park through this dedicated article. Due to heavy snowfall during the winter season, most of the tracks and routes become inaccessible. Hence, it is wise to visit Hemis National Park during the season from May until the end of September. During this time, the temperature conditions are optimum and hence, you can enjoy your trip to Hemis National Park wonderfully. Established in 1981 with an elevation of around 17000 feet, Hemis National Park is one of the high-altitude national parks in the world. It is famous amongst tourists and travellers for its snow leopards and is located on the bank of the Indus river. Spread over an area of 4400 square kilometres, it is also the largest national park in the southern parts of Asia. From ancient places to natural sites, there is a lot to explore within the boundaries of Hemis National Park. The beauty of Hemis National Park lies in its rich wildlife and exotic beauty - in the form of animals, mountains, waterbodies, vegetation and ancient buildings. On one hand, you can discover the hidden corner of nature and on another hand, you can visit its historical places and savour their beauty. 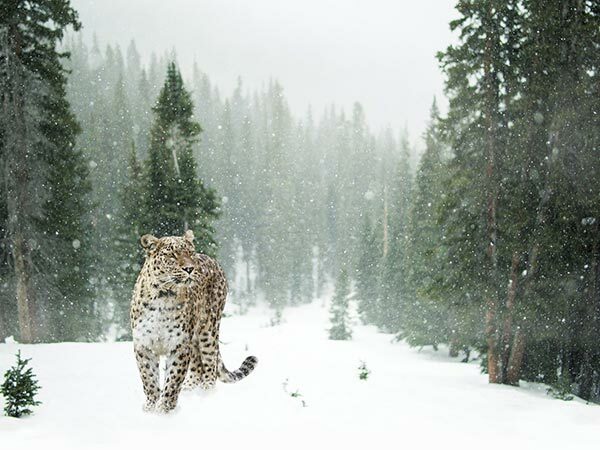 Snow leopards are the major attractions for photographers and wildlife lovers in Hemis National Park. From 16 species of mammals to 73 species of birds, this national park is filled with surprises. The major species include snow leopard, red fox, golden eagle, shapo, etc. How about capturing beautiful frames of these colourful birds and wonderful animals? Surrounded by snow-capped mountains, it also provides its visitors with spectacular views of its deep echoing snow valleys. You can also find several endangered medicinal plants and other rare species of flora. The presence of trekking trails and hiking routes attracts adventure seekers too. There are myriad places of interest in Hemis National Park. From ancient monasteries to beautiful passes. Hemis National Park houses numerous places which will definitely allure and compel you to visit this wonderful national park again and again. Hemis Monastery is one of the ancient settlements of Tibetan Buddhists in this park and is 400 years old. You can also visit Ganda Pass, which connects the villages of Markha Valley to Leh. You must not miss these beautiful places if you love exploring new things and discovering places. Apart from all these places, you can also go trekking, hiking and camping on the thriving lands of Hemis National Park. Who would love to savour the world of pristine beauties amidst the heavenly presence of nature? Not every place in India is home to the rarest of natural as well as ancient beauty. However, Hemis National Park is one of these few places where you can enjoy the perfect blend of nature and history. From visiting Tibetan settlements to photographing nature and witnessing rare animals to indulging in adventures, you will be entitled to do a lot of things in Hemis National Park. So, why not plan a trip to this enthralling beauty this season? Located at a distance of around 30 km from Leh, it is easily accessible from Leh. You can directly fly to Leh airport and then from there, you can either trek down or catch a bus to the Hemis National Park. You can also hire a cab directly to Hemis National Park.